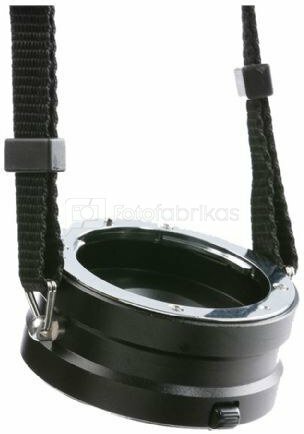 The Micnova Dual Lens Holder KK-LK1 for Canon EF/EFs Mount Lenses is a two-sided locking mount, providing a fast and effective way for carrying and switching lenses in the field. The two-sided lens locking mount and sturdy shoulder strap makes it possible to quickly attach your working lens to the Locking mount and remove your alternate lens and attach it to your camera. 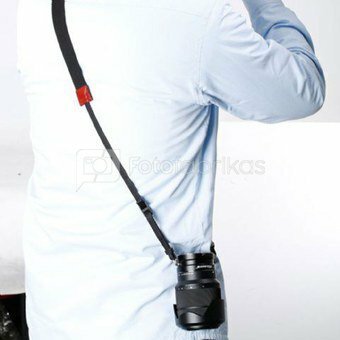 Sturdy lugs and 1"-wide adjustable length shoulder strap secure even heavy lenses and keep them conveniently at your side. 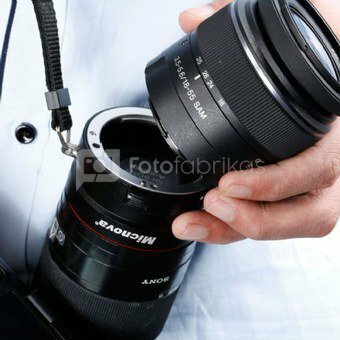 Capture Lens for Canon EF/EFs Mount Lenses. The maximum strap length of the KK-LK1 is 150cm. It can carry lenses up to a maximum weight of 15kgs. The KK-LK1 itself is very light with only 176g. Comes in a full color packaging.